We are happy to announce our new partner in Canada: Quorum Technologies Inc..
Quorum Technologies Inc. is a private Canadian owned enterprise located in Guelph Ontario. 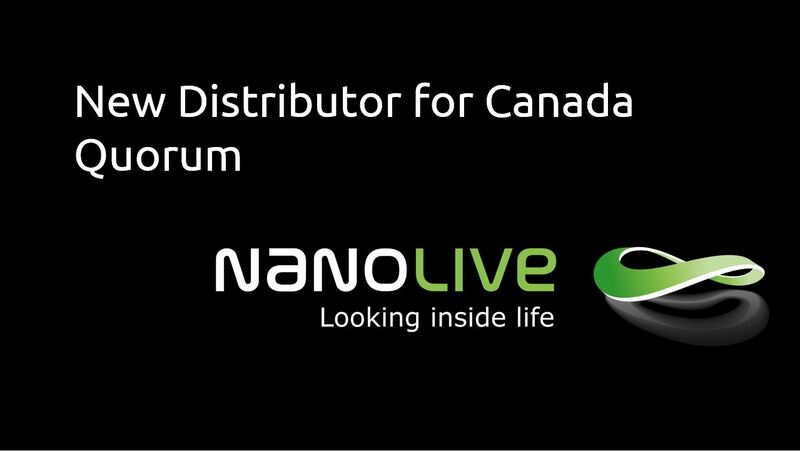 The company develops and integrates scientific instruments and is the leading provider of Live Cell Microscopy solutions in Canada with 100’s of installations across the country. Quorum’s Volocity package is one of the leading 3D visualization and analysis software platforms on the market. Quorum dedicates over 35 years of experience integrating microscope components to meet the goals of the scientific community and holds over half a dozen patents. Through a variety of technology transfer relationships with Canadian universities, Quorum is helping to bring new innovative technologies to market for use in preclinical research, drug development and personalized medicine. For more information about Quorum Technologies Inc., please visit: www.quorumtechnologies.com.